Pioneering Bull, set up by the city government in 1984 to signify the significance of establishing China’s first special economic zone in Shenzhen. 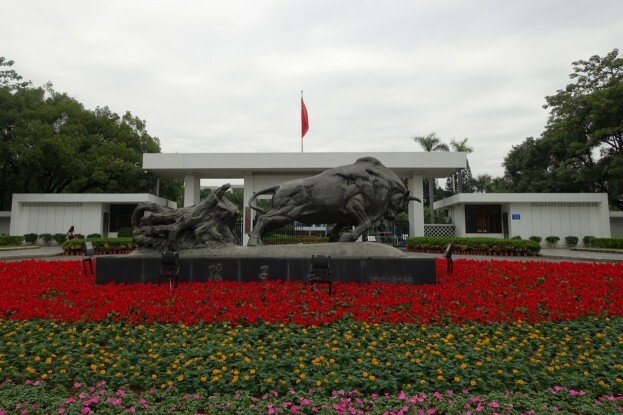 The sculpture is in front of the former Shenzhen Municipal Government office compound at 1018 Shennan Road Central, that used to be the commanding center of Shenzhen. 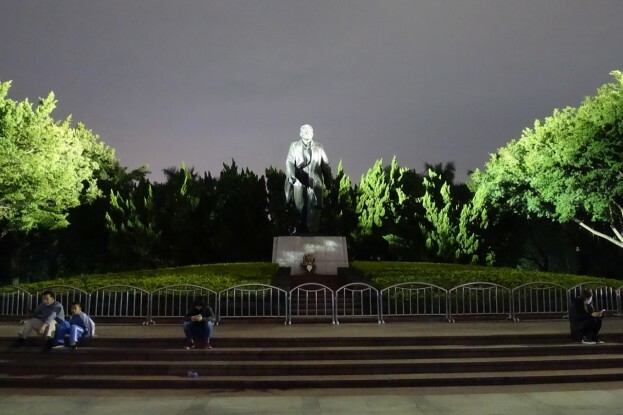 Deng Xiaoping overlooking the Civic Center and skyline of Shenzhen. 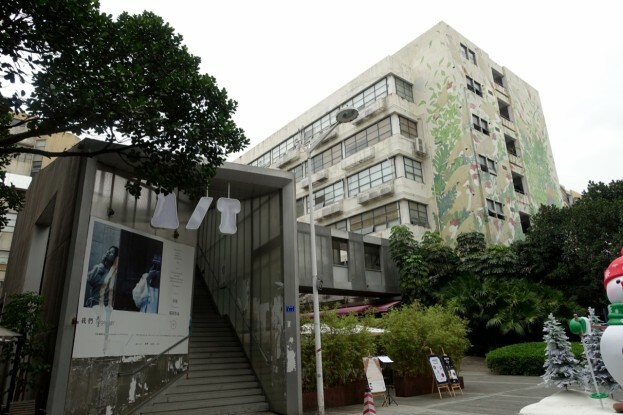 Former Shenzhen Museum, one of the eight “cultural establishments” in the early 1980s in Shenzhen. 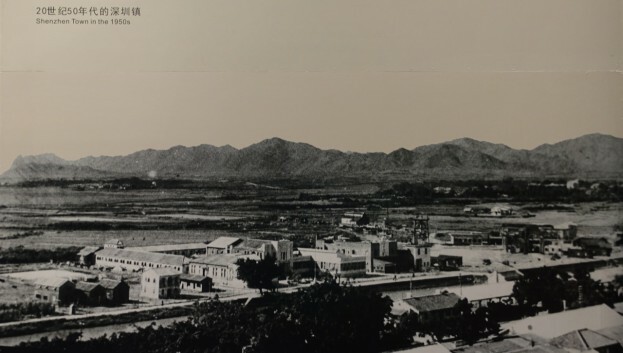 Shenzhen Town in 1950. 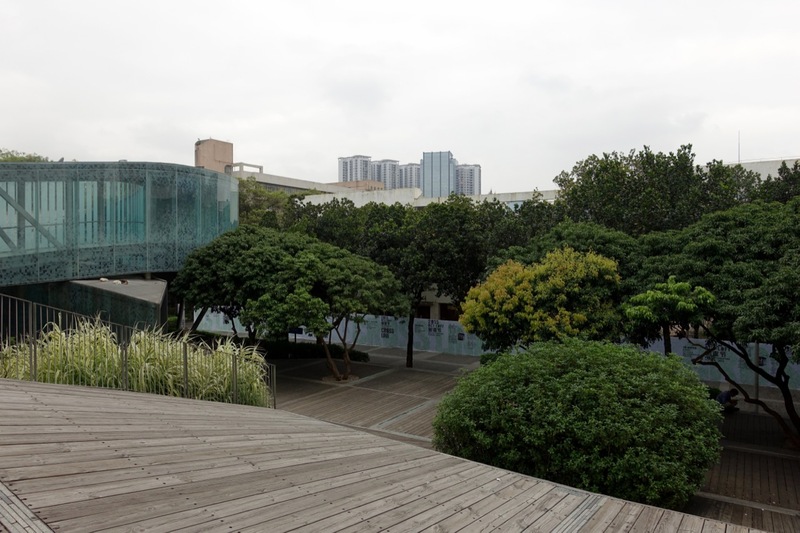 Photo from the exhibition at the Shenzhen Museum. View east from Shun Hing Square, overlooking the area of Shenzhen Old Town on the left within the present day Louhu District. View west from Shun Hing Square. The river on the left marks the border to the Hong Kong Special Administration Region. 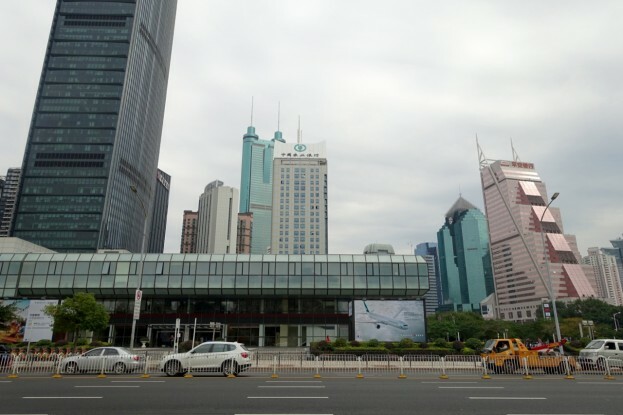 View of Shun Hing Square (Chinese: 信兴广场), also nicknamed “Diwang Building”,(green tower in the back) that used to be the tallest building of Shenzhen – and Asia when it was finished in 1996. 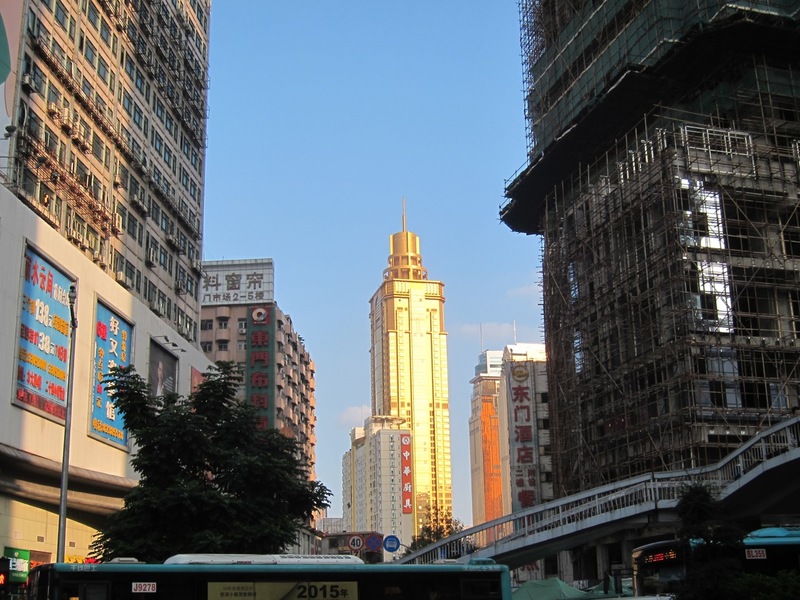 Now the Kingkey 100, the black building to the left is the tallest building in Shenzhen. 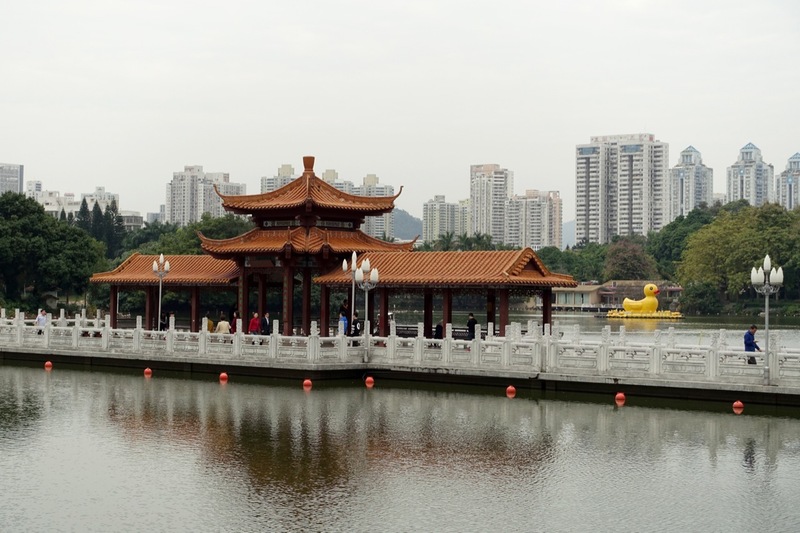 Lihu Lake within the Lizhi Park, central Shenzhen. 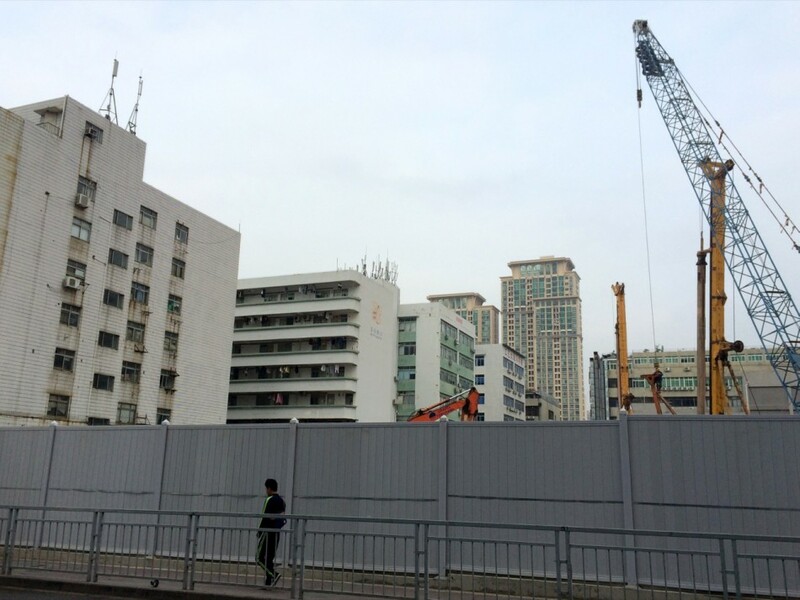 Development of Shennan Boulevard. 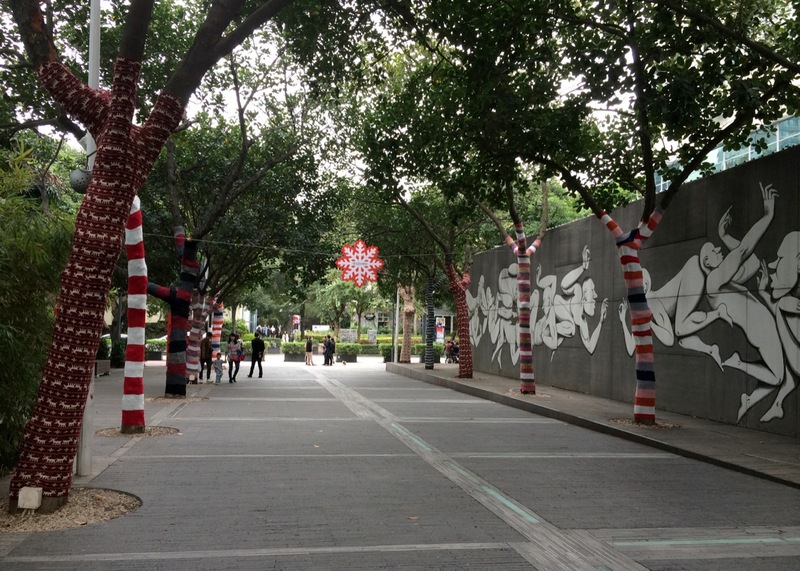 Photo from the exhibition at the Shenzhen Museum. 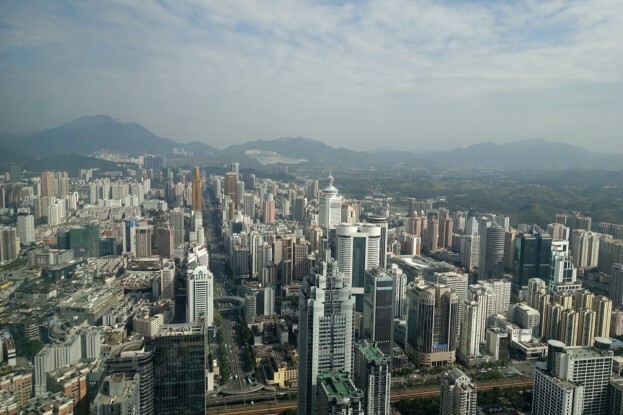 Since the establishment of the SEZ, the population of Shenzhen has been rapidly growing. 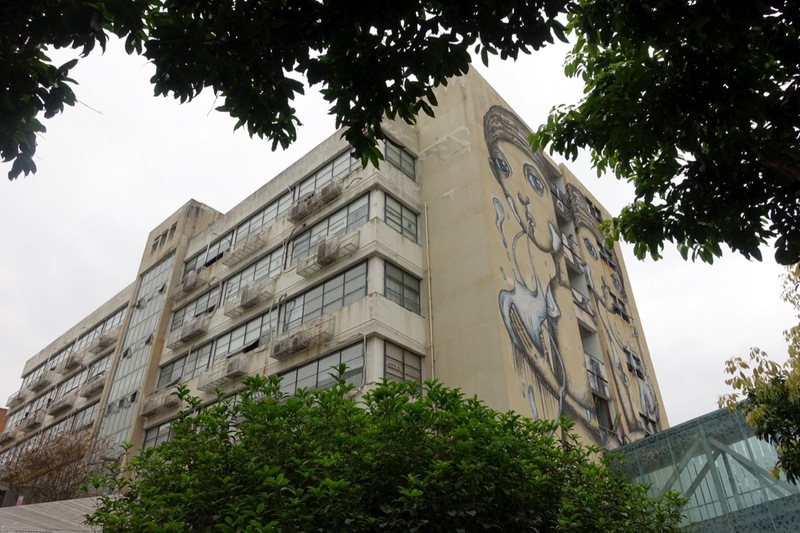 A majority of the population though counts for being migrant workers living in factory dorms, making Shenzhen the largest largest migrant city in China. 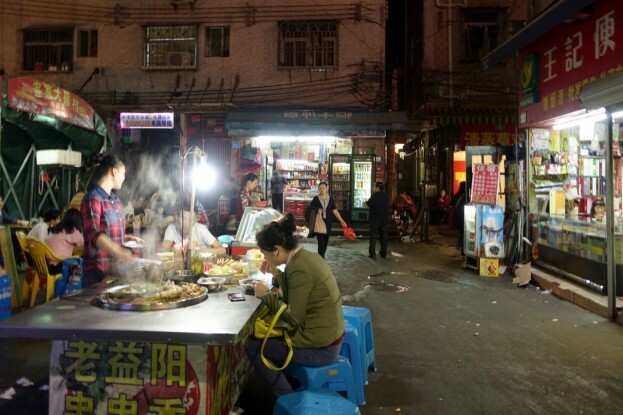 Hukou, the registered residency status of a particular individual within the Huji household registration system, has a big impact on the population structure of Shenzhen. 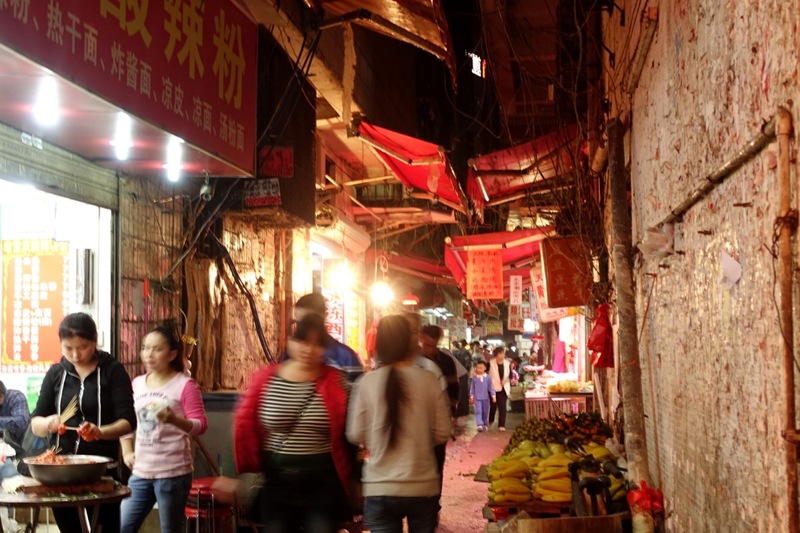 The system has its origins in ancient China with the goal to officially identifies a person as a resident of an area, holding including information of the individual. It throughout history also has been used to influence taxation and conscription policies depending on different areas of origin, as well as banning immigration, emigration, and separation of families without permission. 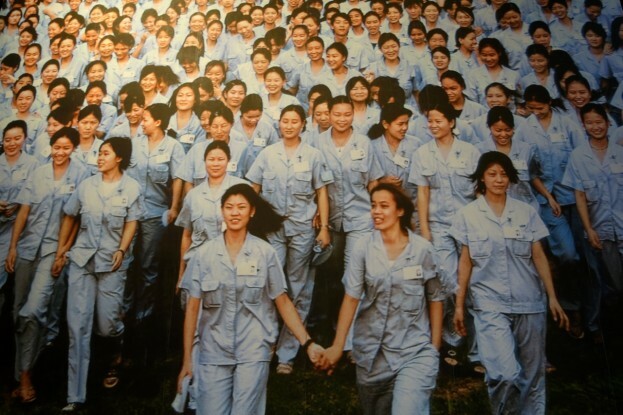 Female migrant workers on the way to work to the Nangang Electronic Factory in Huaqiang. Photo from the exhibition at the Shenzhen Museum. The live of female migrant workers in Shenzhen. Photo from the exhibition at the Shenzhen Museum. Futian District (simplified Chinese: 福田区; traditional Chinese: 福田區; pinyin: Fútián Qū) is one of six districts of the city of Shenzhen. 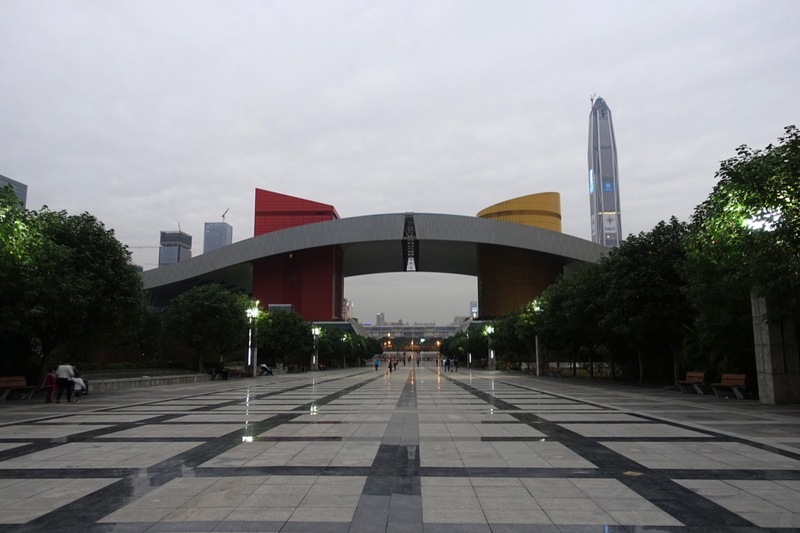 It is home to the government and Municipal Committee of Shenzhen, as well as the central business district of the city. As central district it is home to many prestigious buildings, both high rises and cultural building of the city of Shenzhen as well as to a number of shopping malls and shopping areas. It is well connected via Metro to other parts of the city. The Central Business District of Shenzhen is a planned development project that began in the early 1990s and stretches south from Lianhuashan Park (Lotus Hill Park). Futian CBD, Central Business District, seen from the Civic Center looking east. In the center left the new Museum of Contemporary Art & Planning Exhibition under construction by Coop Himmerlblau. Housing of constructions workers in the front. Shenzhen Civic Center, there included the new Shenzhen Museum. 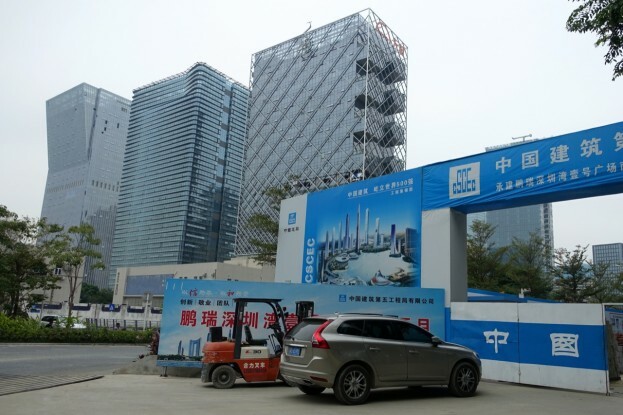 Right behind the Civic Center the Ping An Finance Centre under construction. 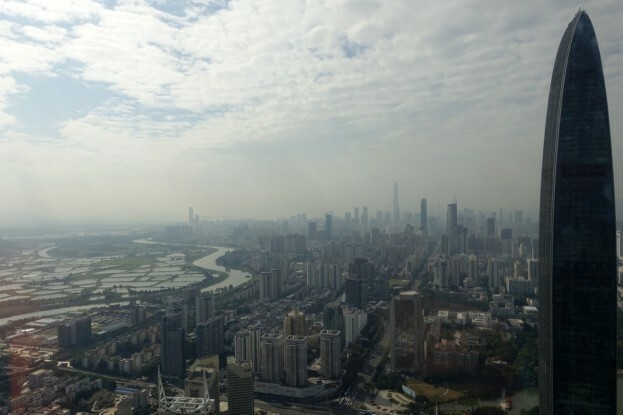 Upon completion, the tower will become the second tallest in China and the fourth tallest in the world. 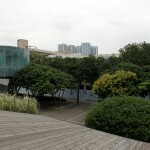 View on the the Civic Center and surrounding city center areas from the Lotus Hill Park. 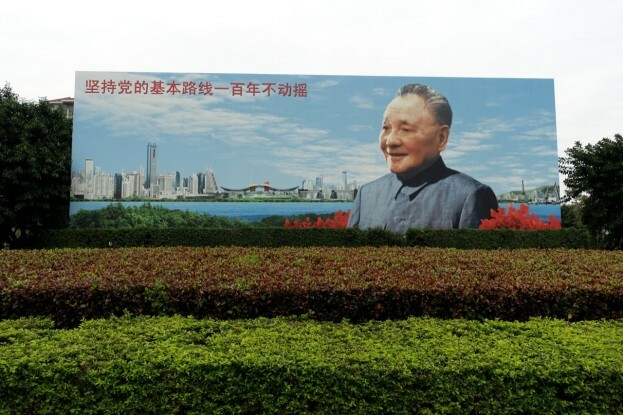 Deng Xiaoping statue on the top of Lotus Hill: The 6-meter-high bronze statue, unveiled Nov. 14, 2000, was the first statue in China to honor the late Chinese leader Deng Xiaoping, recognized as the chief architect of the Shenzhen Special Economic Zone. 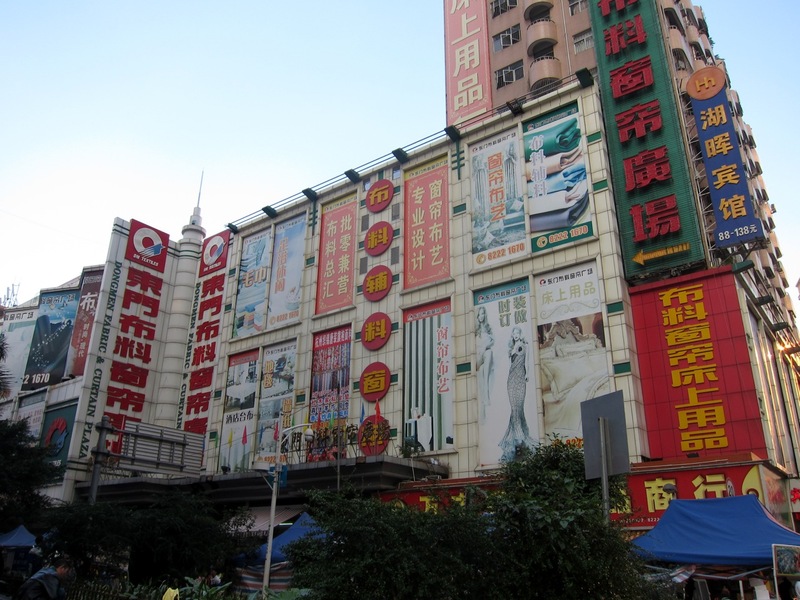 Hua Qiang Bei (Chinese: 华强北; pinyin: Huáqiángběi; literally: “Huaqiang North”) is an important shopping area of the city. 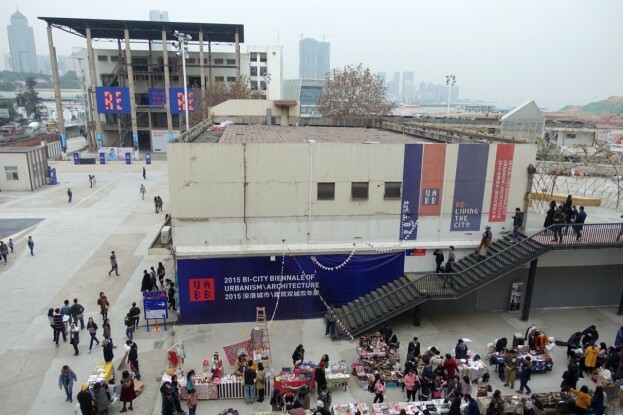 There is over 20 shopping malls located in the Huaqiangbei area which provides about 70 million square meters of business area. 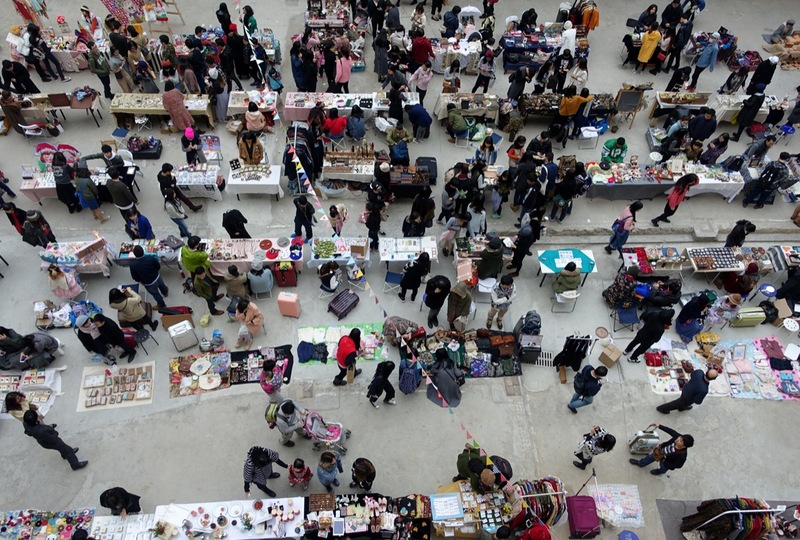 Annual sales reaching over 20 billion, and there about 130,000 people employed in the area . 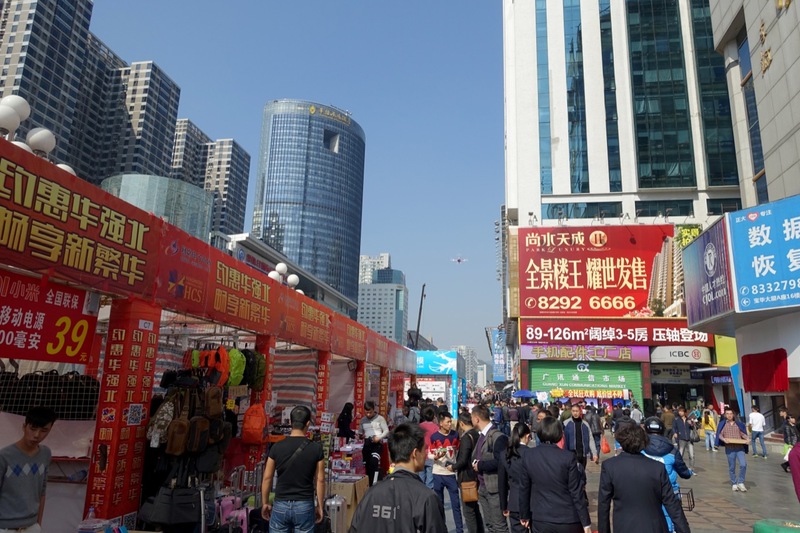 The area and the main street Huaqiangbei Commercial Street is especially known its electronic markets. 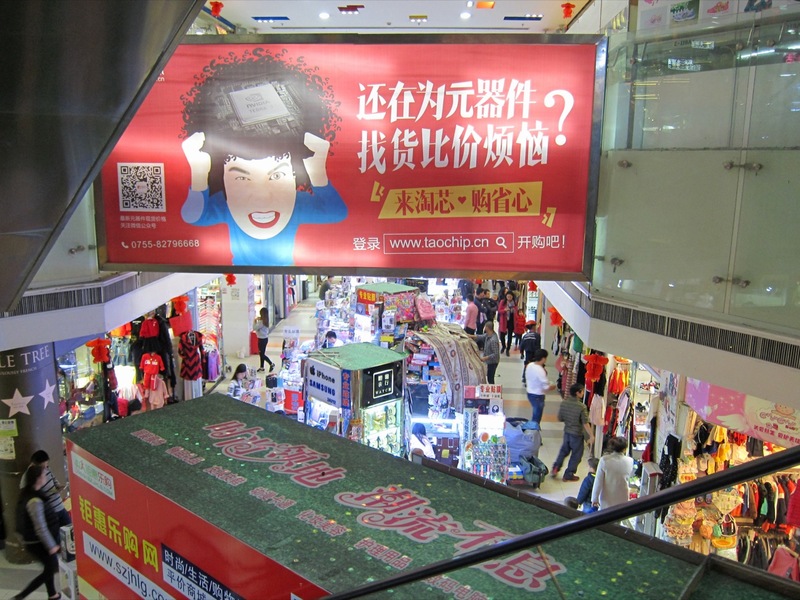 Malls and individual stores line the street, specializing in everything form basic components to consumer electronic products. Huaqiangbei shopping environments below and above ground: Underground shopping mall and Huaqiangbei Commercial Street. 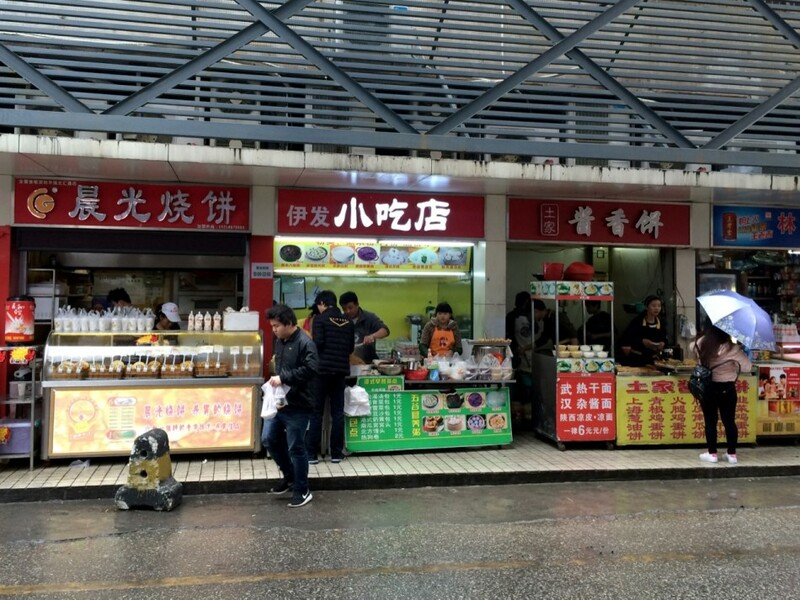 Street food restaurants catering breakfast to the people working in the district. 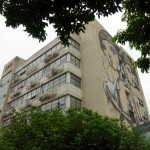 Construction and re-construction of urban spaces within the central city area. 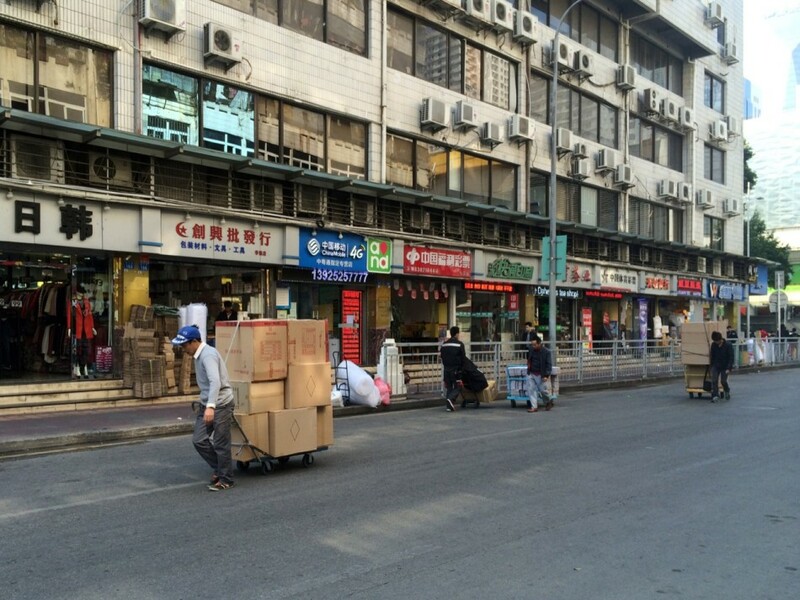 Omnipresent outreaches of the shipping business, as a considerable part of the selling is happening over the internet. 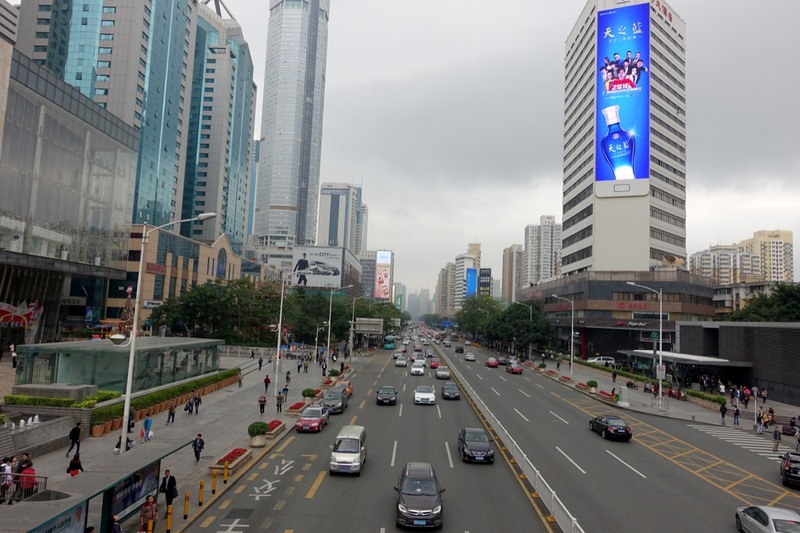 Dongmen (or “East Gate”, simplified Chinese: 东门; traditional Chinese: 東門; pinyin: dōngmén) today is the largest commercial area in Shenzhen. 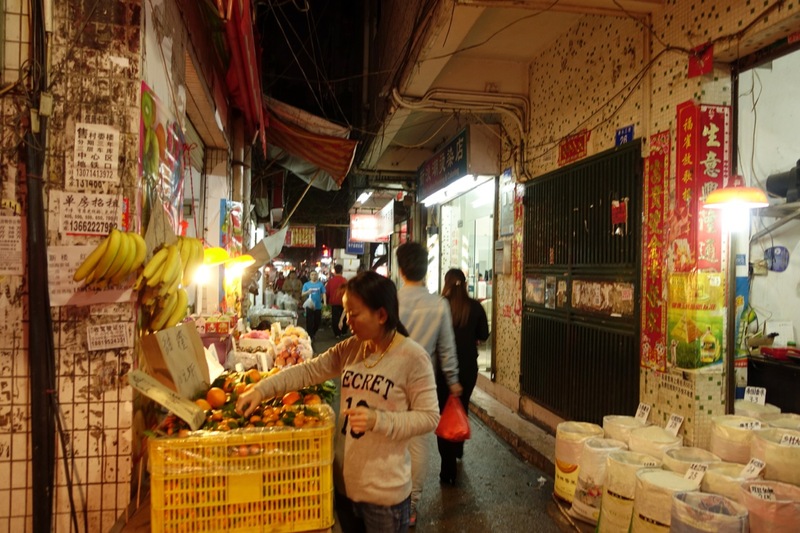 The area is also one of the oldest parts of Shenzhen situated where Shenzhen (or Shum Chun) Hui (深圳墟, “Shenzhen market”) used to be, with a population of little less then 30,000 people. 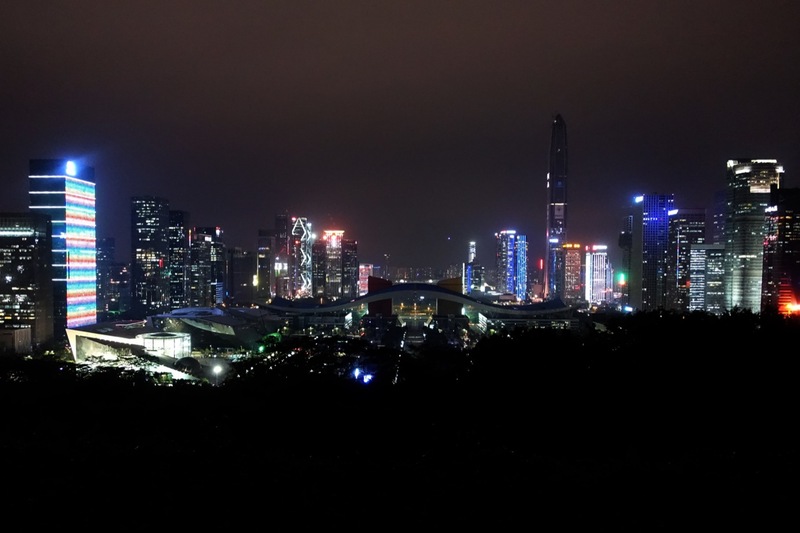 It is part of the Louhu District (Simplified: 罗湖; Traditional: 羅湖; Pinyin: Luōhú) of the city of Shenzhen. It is bordered by the Futian District in the west and the Shenzhen River that marks the border to Hong Kong in the south. Louhu also holds the busiest land boundary patrol connecting China and Hong Kong. 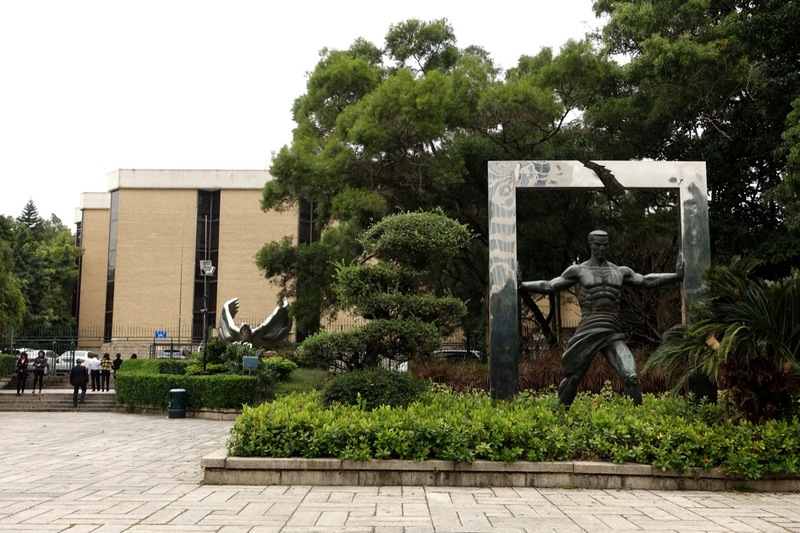 Located at the Shenzhen – Hong Kong border, already before the introduction of the SEZ the area held importance for being the first station of the Kowloon-Canton Railway (KCR) from Hong Kong to Mainland China. After Shenzhen was promoted to city status in October 1979, Luohu District was established as the first district in Shenzhen. Several hills were flattened to facilitate its infrastructure during initial construction phases. 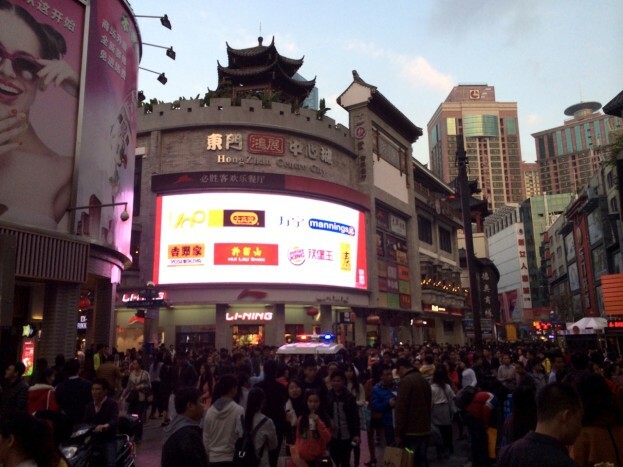 Dongmen Pedestrian Street, the bustling center of the vast shopping area. 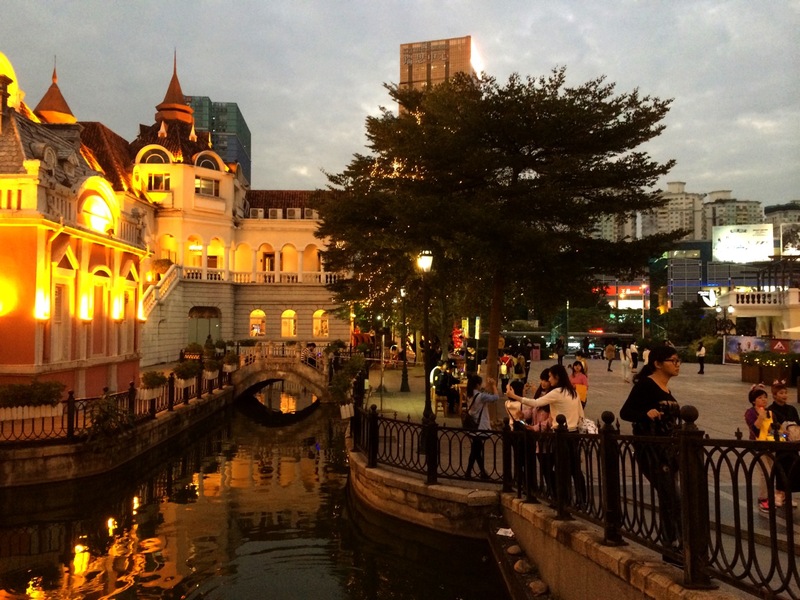 After the rush of the manufacturing of the 1980s, the state-owned OCT enterprise invested into the development of themeparks: Window of the World, Splendid China and Happy Valley. 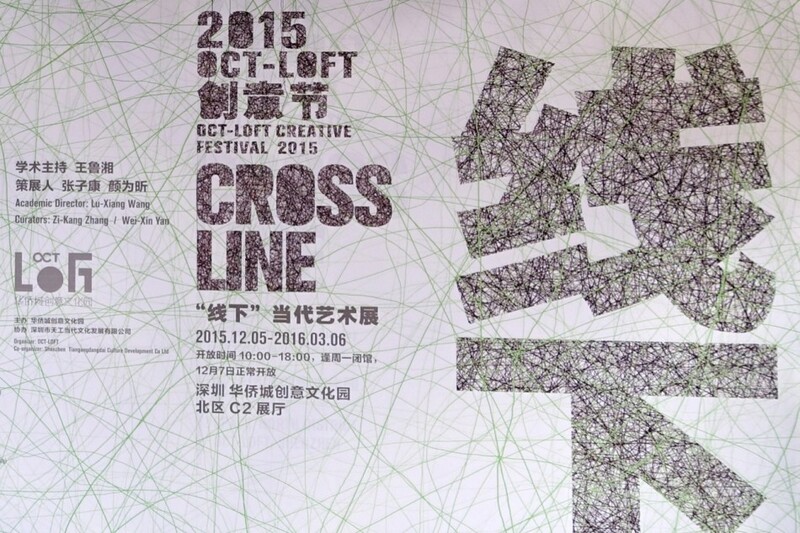 An other important redevelopment of the area includes the settlement of the creative industries in LOFT OCT. 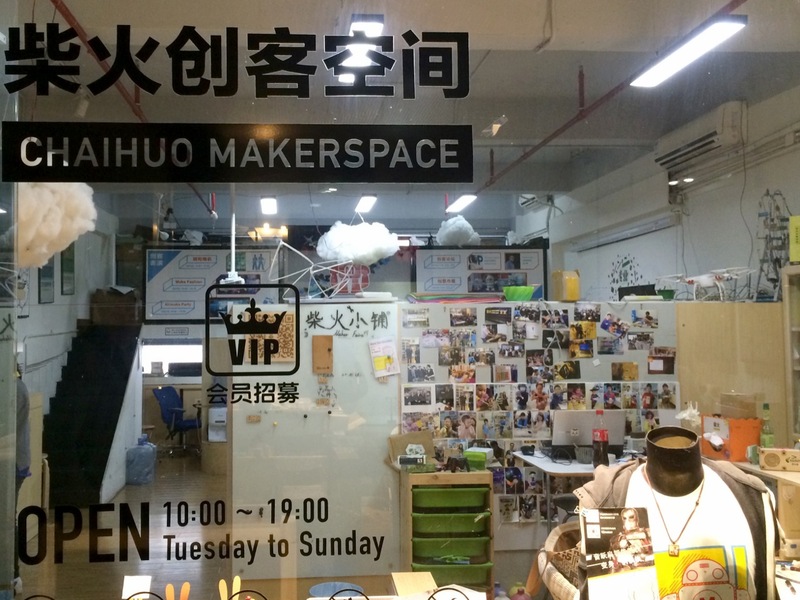 The Chaihuo Makerspace within the OCT Loft, the former office of Seeed Studio. 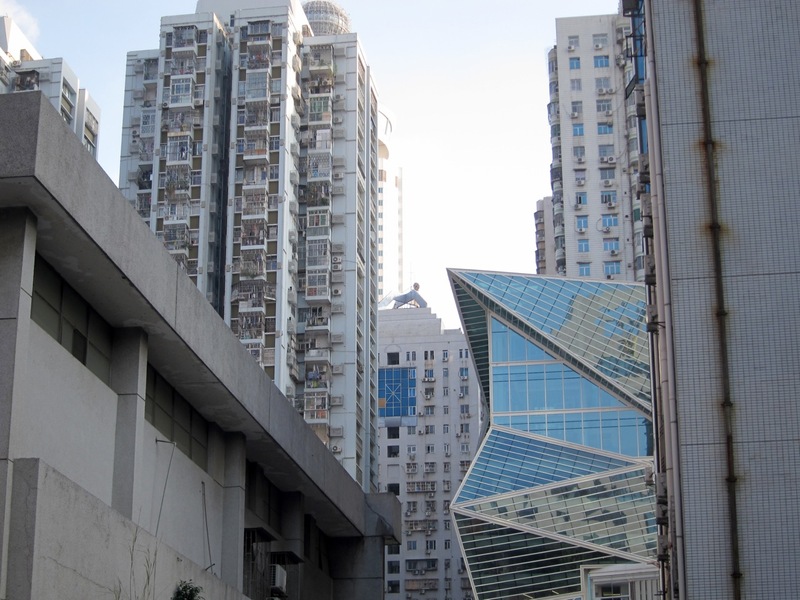 Window of the World neighborhood in Shenzhen. 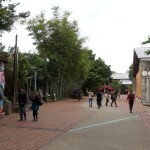 The theme park features replicas of worldwide monumental architectural works. 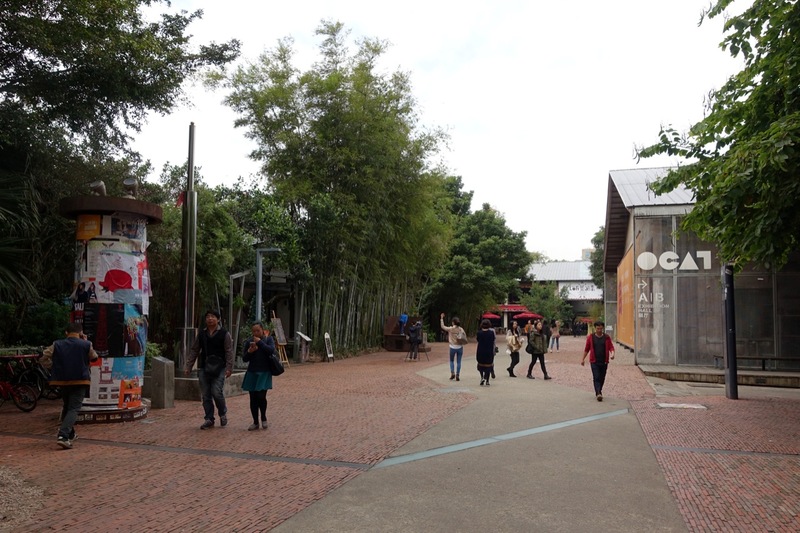 The replica-style also extends a little beyond the gated park. Shekou (蛇口, “Snake’s Mouth”) is a former industrial zone with a largely expatriate residential community within the Nanshan District of Shenzhen. 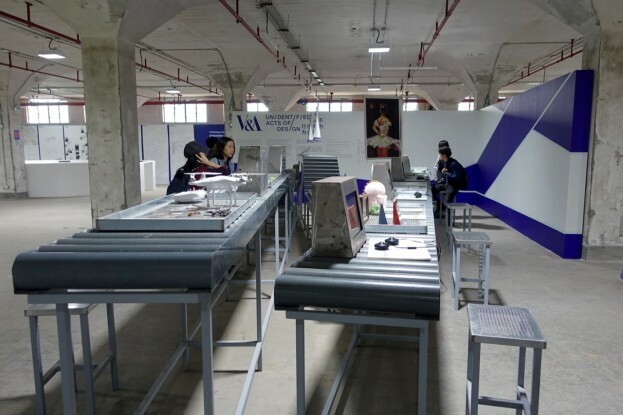 The area continues to be intensively developed into commercial and residential areas, and hosts the Shenzhen Biennale, meant to be play an important role in the gentrification process. 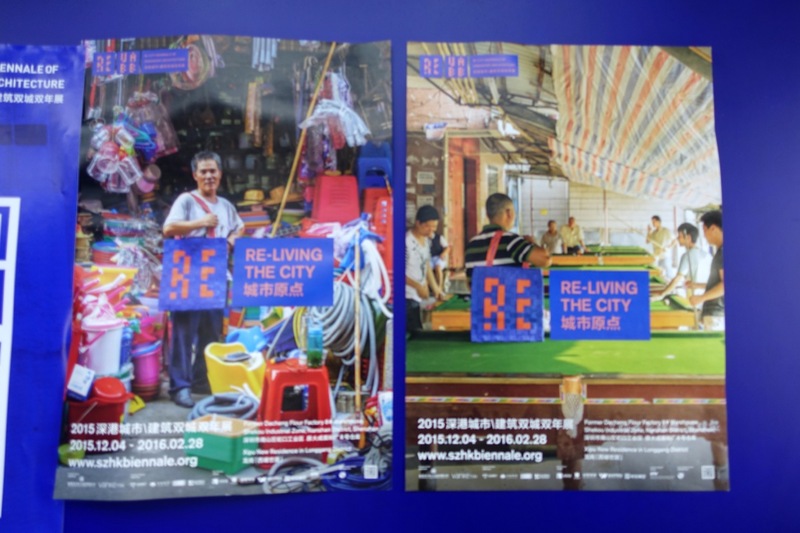 Typical Shenzhen street scenes as poster pictures for the Biennale of Urbanism/Architecture. 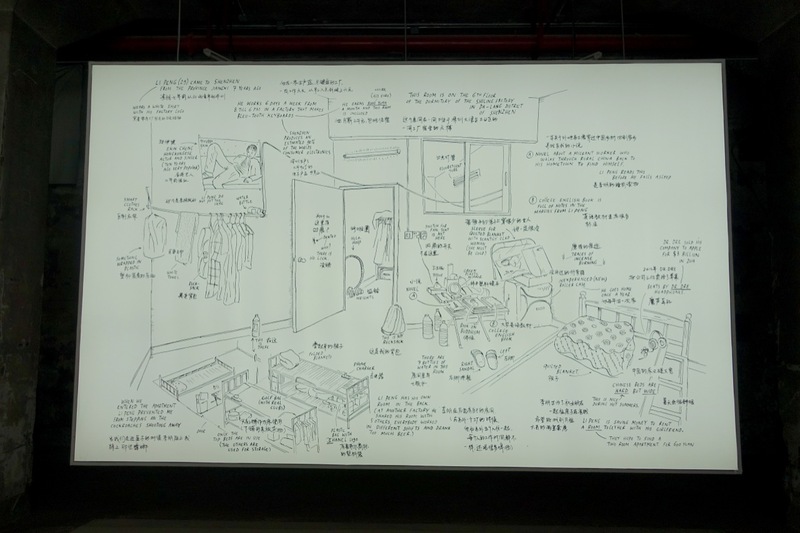 Work by Jan Rothuizen within the main exhibition, drawing the homes and experiences of people living in Shenzhen. 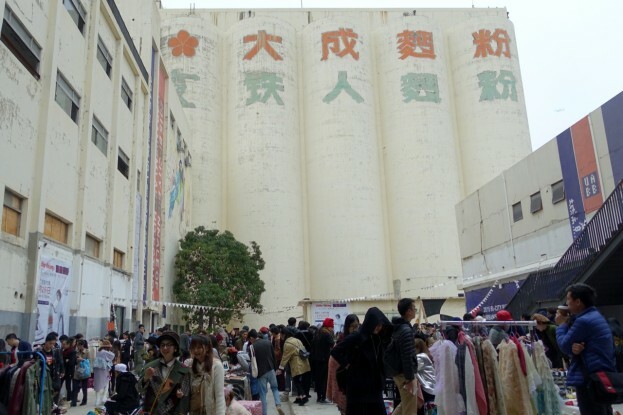 The main venue of the Biannale, the former Dacheng Flour Factory and its surrounding. Bao’an (Chinese: 宝安区; pinyin: Bǎo’ān Qū) is the western most district of Shenzhen, boarded by the Pearl River Delta in the west and the neighboring city of Donguang to the north. 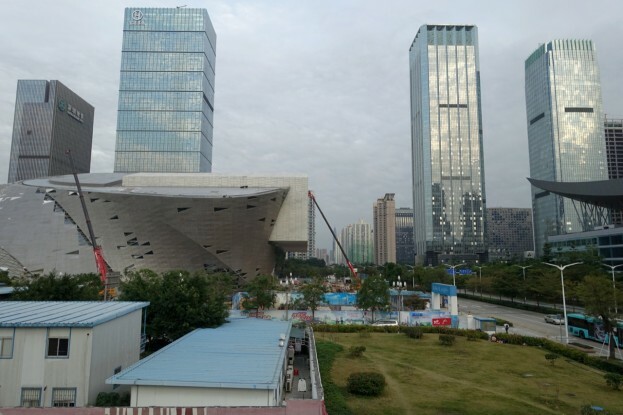 Bao’an hosts the Shenzhen Airport and many of the city’s electronic factories and industrial areas and technology parks. 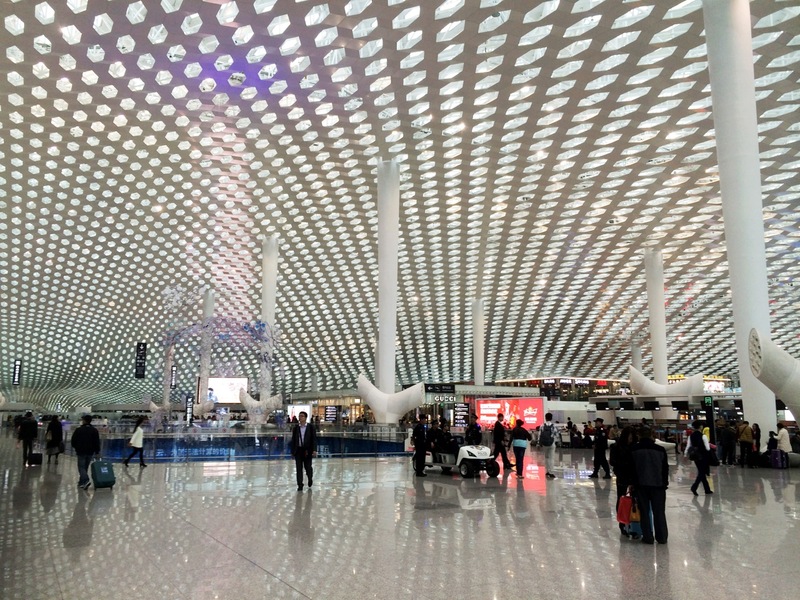 Shenzhen Bao’an International Airport, opened on 28 November 2013 after 4 years of construction and planning. 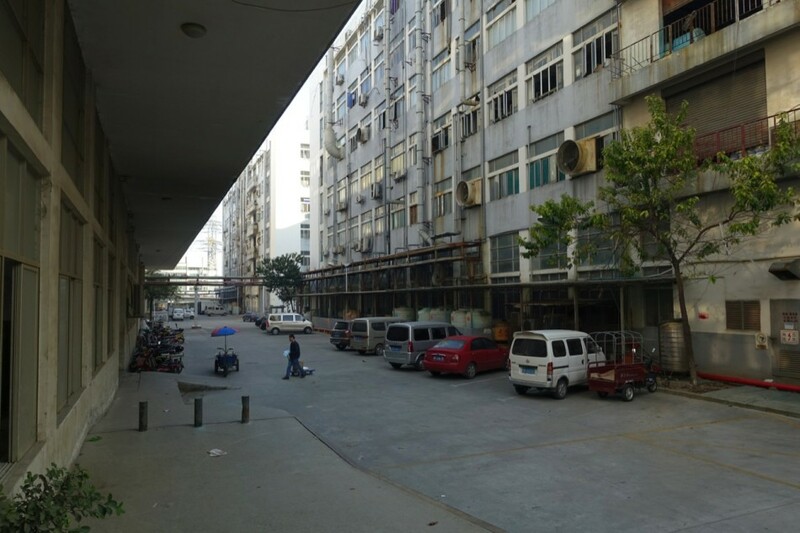 Factory buildings within an industrial park and housing facilities for factory workers in the Bao’an district in Shenzhen. “Thirty years is but a moment in human history. Nevertheless, miracles of industrialization, urbanization and modernization have been created by Shenzhen. Not only has she transformed her own prospect, but also has been playing the role of radiating, driving and exemplifying. […] The course of growth and remarkable achievements made by Shenzhen is a wonderful microcosm and vivid example of the victory through unswervingly taking the road of socialism with Chinese characteristics. “Shenzhen”. U.S. Commercial Service. Retrieved 15 January 2016. 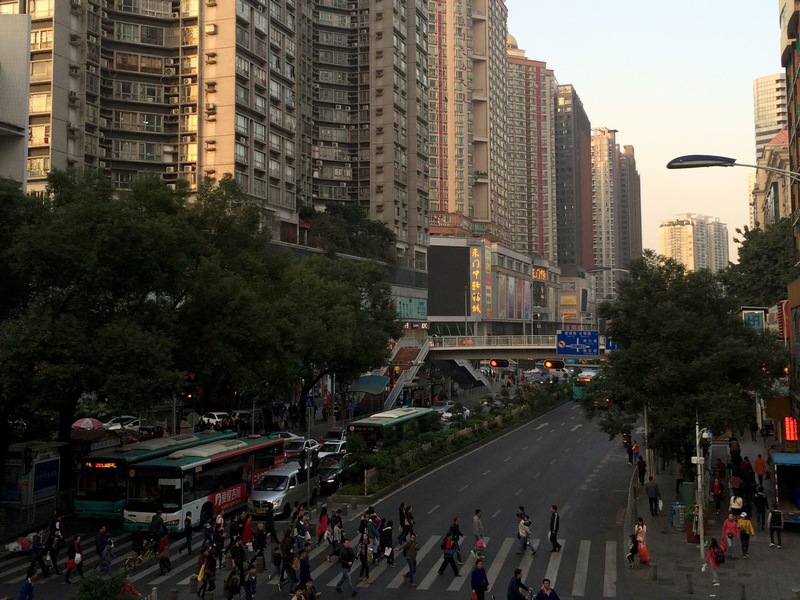 “Population and Density of population in Shenzhen: Government Official Report 2014” Government of Shenzhen. Retrieved 15 January 2016. 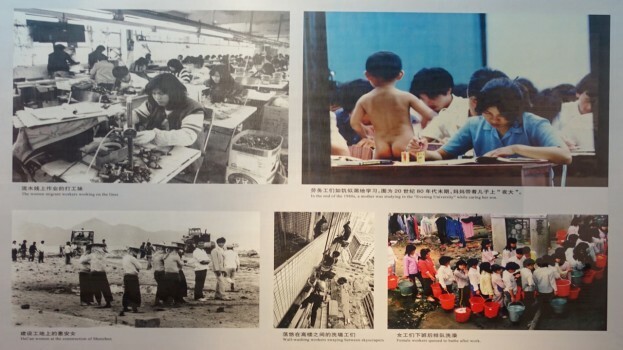 “Chinese Women Migrants and the Social Apartheid” 2007, Au Loong-Yu and Nan Shan, Development, 2007, 50(3), (76–82), Society for International Development 1011-6370/07. 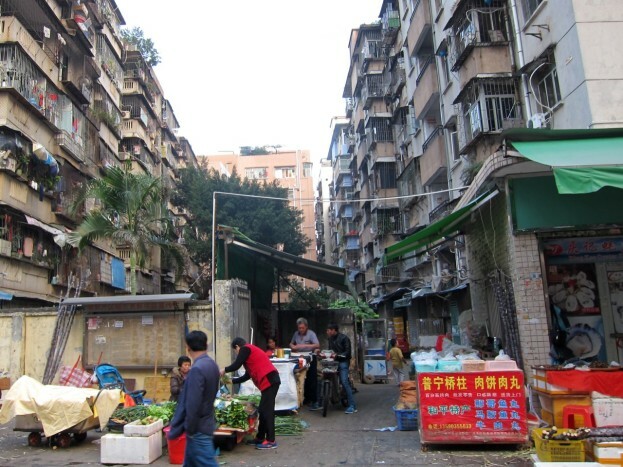 “Laying siege to the villages: neighbourhoods for the working poor” 2013, Mary Ann O’Donnell. 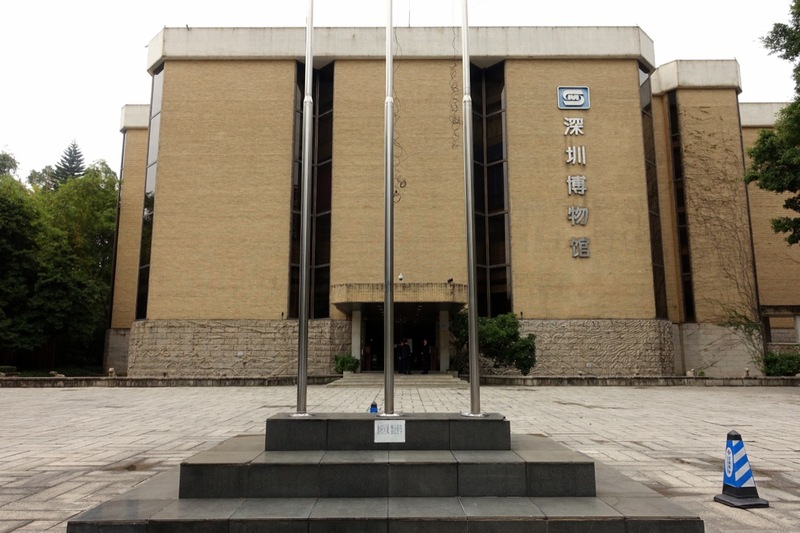 Retrieved 16 January 2016. “Laying siege to the villages: lessons from Shenzhen” 2013, Mary Ann O’Donnell. Retrieved 16 January 2016. 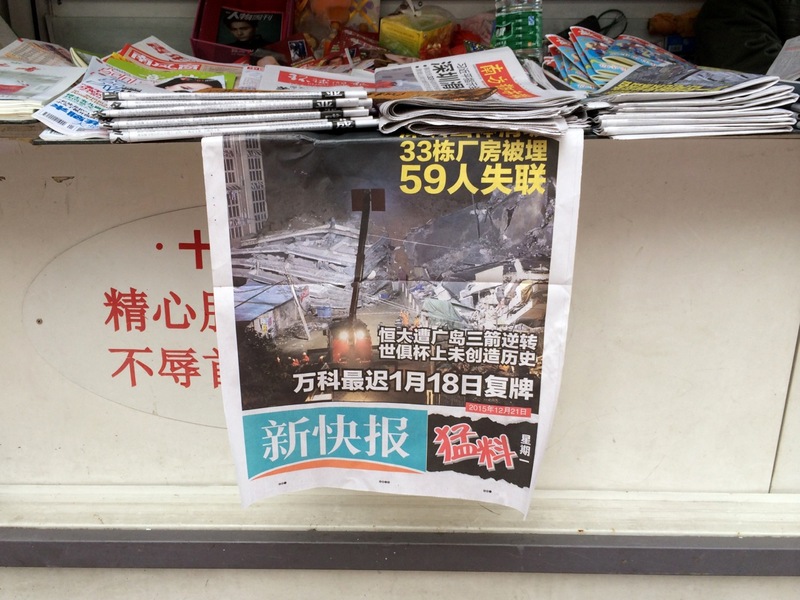 “Shenzhen landslide: 85 still missing after construction waste hits buildings” 2015, Peter Walker in The Gaurdian. Retrieved 16 January 2016. “Huaqiangbei – Electronics, Gadgets, Fashion and More” 2013. Retrieved 24 January 2016.